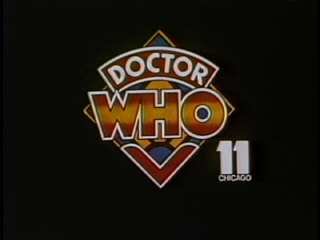 Intro: Tonight, the Doctor, Romana, and K-9 face hordes of Mandrels. No, uh, they will not be rendered senseless by hours of country songs sung by ladies with blonde, bouffant hairdos. These Mandrels look more like, um... more like, um.... Well, you'll just have to see for yourself; I can't even talk about it. They're part of the "Nightmare of Eden," which will unfold anon, here on WTTW Chicago. "Next Week": A few thousand years ago, Greek legend has it, a man with a bull's head, the Minotaur, was placated with sacrifices of young Greek men and women, who were taken to the Cretan capital of Knossos. Next week, in a startling, intergalactic coincidence, the Doctor and Romana will find themselves on the planet of Skonnos, where tradition provides sacrifices for a bull-headed man called the Nimon. Be sure to join us next Sunday night at 11 when the Doctor, Romana, and K-9 face "The Horns of Nimon."